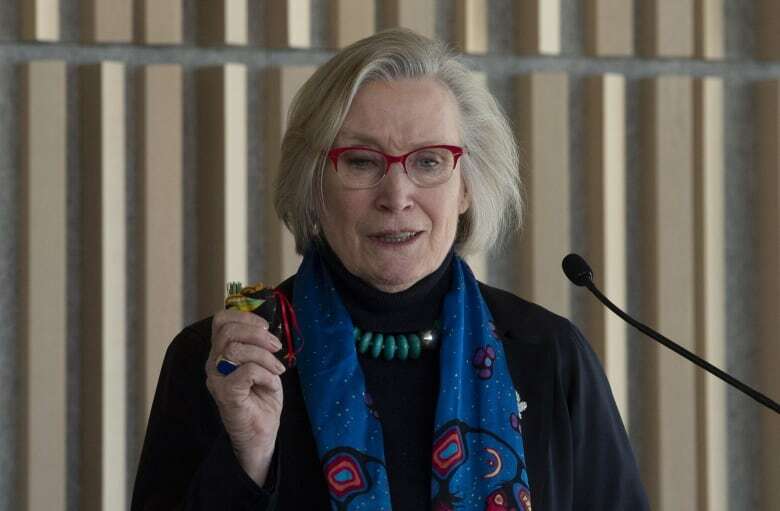 Crown-Indigenous Relations Minister Carolyn Bennett tells CBC News she's determined to do something about the letters, most of which were sent to the former Conservative senator after her controversial March 2017 speech in which she defended the Indian residential school system. Bennett said she will send a tweet on the matter every day the letters are still posted to the site — or until the Senate takes some sort of action against Beyak over her blatant disregard for the ethics officer's demand that she remove the letters, apologize and complete cultural sensitivity training. "It's unfortunate. She doesn't seem to understand how these letters have affected residential school survivors, but really all Canadians. To many First Nations ... they see them as inciting hatred and they want them down," Bennett said in an interview with CBC News. "This sort of intransigence is unbelievable for a parliamentarian. We're supposed to lead by example. If the ethics commissioner says you're at fault, your job is to remedy it. And yet she's refused. "The Senate itself has done such an amazing job [in studying and debating Indigenous issues] and its reputation is being tarnished and damaged by this one member who just doesn't seem to get it. They should do whatever they can ... it's damaging to the institution and to Canada to host these racist screeds on a government website." The Senate ethics committee could recommend a number of sanctions, which include blocking Beyak's access to Senate resources and limiting her right to speak or vote. It could even recommend her expulsion from the Senate, although senators would have to vote to confirm her expulsion. Beyak has said she believes the letters — some of which describe Indigenous peoples as lazy, opportunistic, pampered and inept — are not racist but rather "edgy and opinionated." She said they are part of a larger discussion she is trying to foster in Canada about the positive experiences of residential school students. The Truth and Reconciliation Commission did find some Indigenous people spoke highly of the residential schools — the skills they acquired there, the benefits of the schools' recreation and sports programs and the friendships they made. But for most students, academic success was elusive in the schools' crowded classrooms and they often left the schools feeling cut off from their families, culture and language. "My website is the positive story of the good in the residential schools, and to open a dialogue on that. The open dialogue is to get the positive side of the story out there," Beyak told Pierre Legault, the ethics officer, during his investigation. She said she was simply trying to reflect the "voice of Canadians." "In my view, there is no racism in Canada. Right now there are groups putting people into silos, trying to divide us, by saying that we have racism against violence, we have racism against Indigenous people, Ukrainian, white privilege — I find those people racist. Those who seek to divide us are the racists. The rest of us are Canadians. We all bleed the same colour, we all live together in peace and harmony. 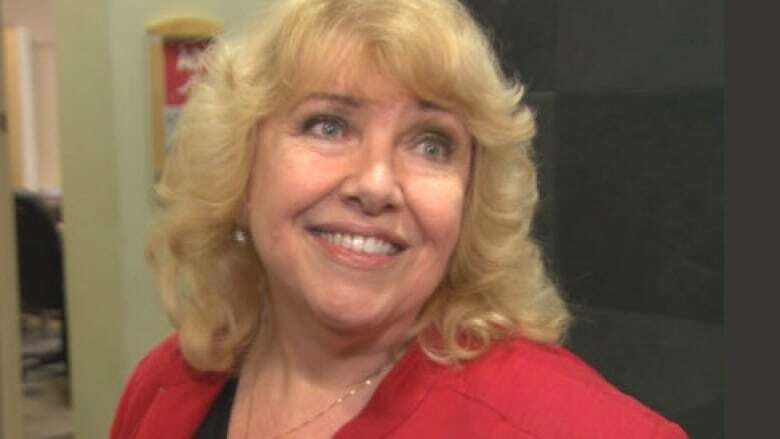 That's the way Canada is supposed to be," Beyak said in one of her interviews with Legault. "By constantly calling people names and trying to define them on racism is dividing us. Get it all on the table and let people argue it out," she said. Most of them — 4,282 — criticized her speech, while 2,389 were described by Legault as supportive of the senator's positive sentiments about the residential school system. "Where would they be today if it were not for the residential school that were set up to help them? I expect they would still be living out in their isolated villages, un educated, a very high rate of child birth deaths, an very short life expectancy, and living in very damp cold dwellings," it stated. "I'm no anthropolgist but it seems every opportunistic culture, subsistance hunter/gatherers seeks to get what they can for no effort," read another. "There is always a clash between an industrial/organized farming culture that values effort as opposed to a culture that will sit and wail until the government gives them stuff," says one writer. "I don't understand why politicians don't take a stand against the chronic whining and unreasonable levels of expectations that are exhibited by some Indigenous groups that seem to keep inventing new ways to achieve a cash grab." "The selection of letters that she has chosen to put up on her site is heartbreaking," Bennett said. "She should be correcting people in their misunderstanding of the truth and leading the path of reconciliation for her region, and she instead has chosen to inflame and also hurt people. The words on those pages are hurtful to the people who have the lived experience." While Conservative Leader Andrew Scheer removed Beyak from the Tory caucus last year, the Senate's internal economy committee has so far refused to take any action against Beyak or her website. Last year, after hearing complaints from a number of senators, the committee (which essentially governs the Red Chamber) decided against removing the offending letters from Beyak's website. Instead, the committee said it would wait for the ethics officer to report on the matter. "The committee is mindful of its obligations under the Ethics and Conflict of Interest Code for Senators to take into consideration an inquiry report from the Senate Ethics Officer as promptly as circumstances permit. When the committee reports to the Senate, information will be made available to the public, including media," a spokesperson for the committee said in an emailed statement.